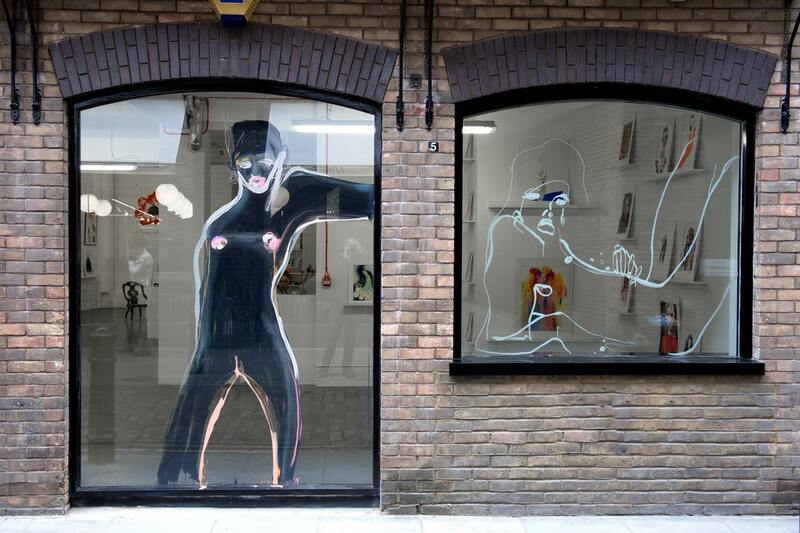 SHOWstudio Fashion Illustration Pop-Up on Floral Street offers a wide open space filled with the latest contemporary fashion illustration. An alibaba den of illustrated women drawn in the latest fashion fill the walls of 15 Floral Street enchanting us with colour and fashion electricity. It's a place where art and fashion through illustration come together, a place where they value creativity and the importance creativity has in the world. This has been the ethos of SHOWstudio and it continues in their pop-up space on Floral Street. 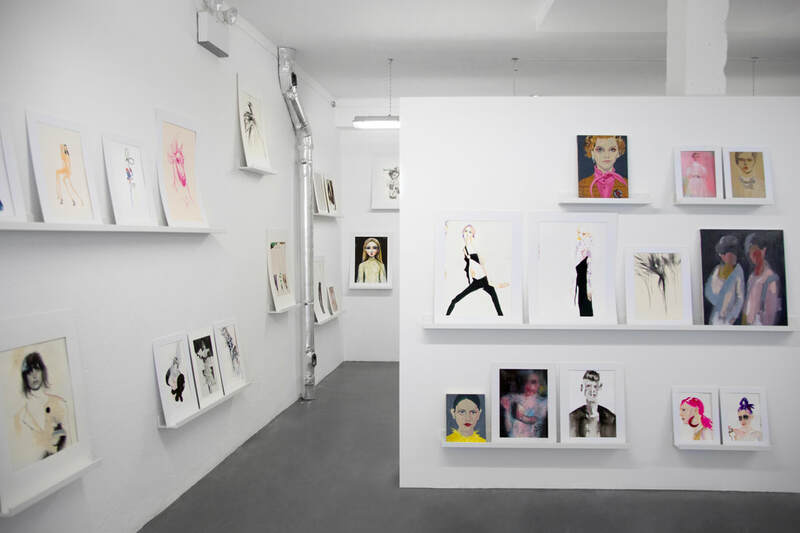 SHOWstudio showcases in their pop-up their extensive archive of original fashion illustrations. The space in the heart of London hosts a selection of SHOWstudio's illustrators taking residency and there is also the ability to watch some artists work live. a selection of artists are asked to capture and illustrate their favourite designs as they appear down the catwalks of major cities. The space is championing as much as they can people's creativity across the UK, asking artists to draw with their own creative voice and give them a platform to sell and present their work. How did the idea to have a pop-up space come about? BC: We’ve been exhibiting fashion illustrations in the SHOWstudio gallery since 2015 and we’ve commissioned illustrations for a bit longer than that since 2013. 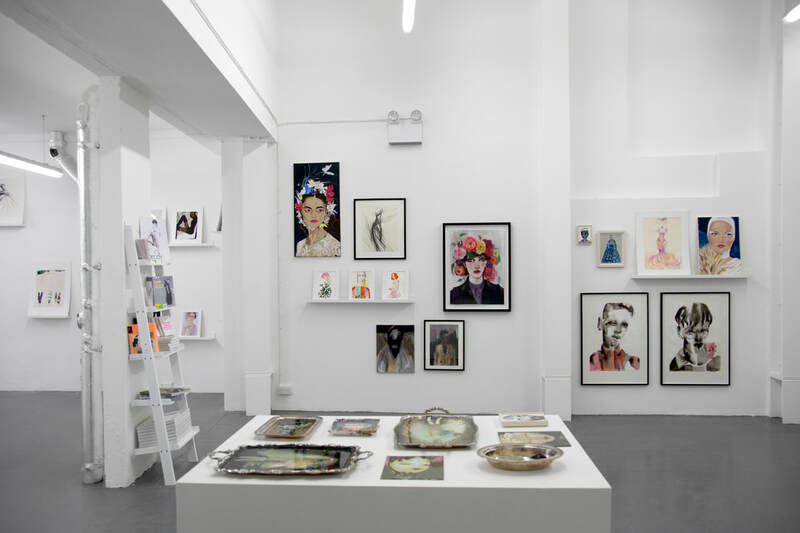 But In 2015, we kind of totally dedicated our gallery space to focus on fashion illustration and we found it went down really well. People really engaged with it and it also makes a really great entry point into collecting art. As the popularity of our exhibitions have grown, we’ve commissioned new pieces every season and for curated exhibitions as well. We have a really extensive archive which has got around 2000 pieces now, but the gallery space that we have on Ebury Street doesn’t quite have the space to be able to exhibit that much of our archive, so we jumped at the opportunity of been given such a fantastic space on Floral Street to work with and show as much as possible of our archive because it’s something that we haven’t been able to do as much before. EK: All these pieces here in Floral Street have never been shown. We have them online, but we’ve never had them out and we will keep getting new ones out from each season’s coverage. It’s so nice because we’re working on new exhibitions all the time, the collection coverage pieces quite often won’t get seen in a space, so it’s lovely to finally get them out. All the team were so excited to see all these pieces that they had only ever seen online. And new artworks come into the gallery? EK: Yes we are going to keep changing the gallery all the time. BC: And that’s one of the reason's why we have the gallery set up in the way it is, a lot of our works are unframed, and they are just presented in window mounts, which means that we are always trying to make things really accessible. Obviously the price point is lower, because you don’t have to accommodate for framing and it’s kind of a really nice unique way of displaying the artworks. It also showcases that people don’t have to worry so much of framing costs, because they can present them in the mounts like we do. We are really up for the space here to just be evolving and changing over time as to when the pieces sell, it gives a chance for many illustrators to be on view. BC: Yes it’s accessible in two ways, making fashion accessible to a lot of people but then also making art itself very accessible, if you compare our kind of price points to a lot of fine art works. EK: And every single piece is an original artwork. 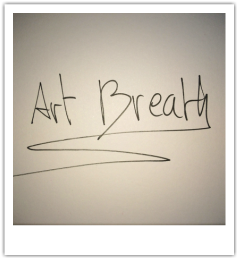 BC: To own an original artwork starting at £ 75, to a lot of people is massively accessible. Of course it does go up depending on the artists and their prominence in the industry, but really we are targeting a lot of different people, at a lot of different price ranges and to showcase how fashion can be interpreted in so many ways. Making the fashion more accessible, as people can like a piece based of its aesthetic, seeing a piece that they recognise as being really beautiful and then the fashion is a bit of context, because I think the illustrations are so emotional, they are kind of an emotional responses to a piece of clothing, it doesn’t have to be an exact depiction of a particular fashion season, it kind of demystifies that. EK: Exactly. 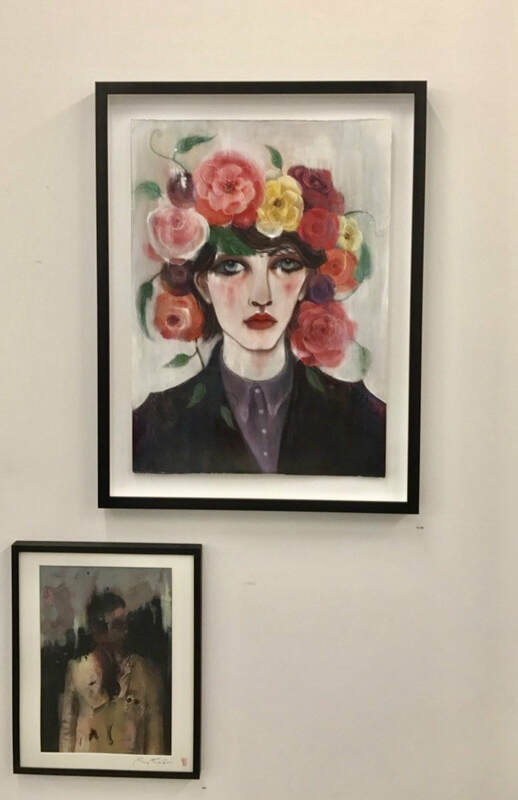 We’ve had people come in and say, that they don’t know anything about art or they don’t know anything about fashion but they love what we are displaying at Floral Street. And even to the point when we approach some of our illustrators, they sometimes get back to us that they are not a fashion illustrator. But our response back is, that fashion is just the subject! We totally see when someone comes in who was wary about fashion, and walking around they look so excited about something that they never thought they would engage with before. ​How do you choose your illustrators? Is there a process that you think about when you choose someone, or does it happen naturally? BC: Nick (Knight) chooses illustrators and part of my job role at SHOWstudio is to pick illustrators. Nick will search through Instagram, through Tumblr, through lots of different websites and online platforms, as will I.
We’ve just launched a submission page on SHOWstudio, where everyone can submit their work, and successful aplicants will be asked to illustrate for us, this also gives everyone an opportunity. It is not a requirement that you have a website or anything like that, you can simply upload jpegs, you can upload a link to an Instagram, so we get to see everyone’s work. Digital, technology is the future and important, but if it is highlighting an illustration, it also makes us curious to see the real thing, the real illustration, and so the relationship between pen on paper, ink on paper, do you think that is still important? EK: Yes, I feel it is having such a resurgence, it is becoming so much more important again, because now, everyone has a camera, everyone has Instagram, so we are inundated with imagery all the time and it becomes much less effective and people are spending much less time on it. Whereas fashion illustration it can give things a whole new meaning, there's so much more to take care of and think through. Illustration expresses the clothes in a way that we have not seen for ages and now because we do have photography, like we were saying, the illustration does not have to be so literal. Expression through illustration, takes it to a whole new place. BC: I also think having Nick, obviously being such a successful fashion photographer, having someone of his prominence support fashion illustration and really understand its worth in the industry, really gives it a lot of value as well because he sees what it can bring that photography can’t and he kind of sees both sides of it and appreciate fashion illustration which is really great. BC: The whole ethos of SHOWstudio from the beginning was to make fashion accessible and to breakdown the barriers of how artists and fashion designers work. So the concept was to show yet again another way of documenting fashion. We have our live panel discussions, we do interviews, broadcasts, talks, fashion shoots and fashion illustration has now become a really important way of documenting the collections for us, it’s another great way of breaking down the barriers. We also ask our illustrators to illustrate live if they can, so giving more insight into someone’s practice, how they work and sort of demystifying the whole fine art approach to something. BC: Whilst we are here in Floral Street, artists, illustrators some will set up in an area to draw. What we do at SHOWstudio normally in Ebury Street, is, any London based or UK based artsists if they are available, they will be invited to illustrate live in our studios. So they will be set up and they will be asked to treat the studio as if it was their own and they can paint the floors, they can paint the walls, they can paint however they want, wherever they want and come and go as they please and really treat it as their studio and the whole thing would be filmed and documented. We used to do it on a webcamera so that people could just tune in immediately and catch up with them throughout the day and see how quickly they work, see how they go about creating the layers, their unique approach to doing an artwork. We also do speeded up process films of them illustrating so that people can again understand exactly how they work. ​It’s great also for the next generation of illustrators and artists, would you have any advice for any budding illustrators out there? BC: My main advice would be, to just appreciate the power of Instagram and the power of their online presence. We get a lot of submissions that will link to a website that isn’t quite so coherent, there will be pages that are on a person's photography, pages on their journalism, pages on illustration and it is great that they are doing all those things but it's really good to have a cohesive website or Instagram platform that isn’t peppered with loads of photos of lunch and things like that, it is always best to have a really solid identity of what your artwork looks like, so that you can communicate that really quickly and that whoever is looking at the work, understands what you do and they can see the best of what you are doing. You can have a separate personal social media account and another one for work. ​Is there a type of illustration you look for, because you talk about emotion and illustration in art, is that what attracts you to a piece, the emotion? Or is it a theme or do you set the theme after, once an illustrator is chosen? BC: When we are looking at collection coverage artists, I do think it’s very important to see that someone has a genuine connection with the show that they are illustrating and a genuine inspiration. You can really see when someone has been inspired by something, that’s why we ask our illustrators to only illustrate the shows they are inspired by, we don’t tell them specifically which shows to illustrate, we give them total freedom to illustrate as an artist what they find and what they want to respond to. So I do think it is very important that they show some kind of emotional involvement in the collection. It can be conveyed quite easily if you are passionate about something in the clothing, or it evokes something in your memory or some kind of personal experience with the collection, then it is really evident rather than what I said earlier, an exact depictation of what a look is, like a straight up or straight down jacket or any other item of clothing. It is far nicer to see more of an abstract emotional response to something. With our commisoned exhibitions, they are a little more specific, so we will then alocate someone a certain look for the exhibiton that we are doing and ask them to interpret that and with that quite often you get a slightly different response from the artist because there’s already context and a story that we are asking them to convey. Whereas with the runway looks, is quite interesting to watch someone illustrate them, because you get to see as an artist what they pick out, what they see as being exciting, whether it is the line, the silhouette, the texture, all of those elements. Bc: Yes we also give them our tumblr, our login and password and they have free reign. It’s good to see exactly what they are inspired by each season. Sometimes we would have someone from a panel from an academic background and they would say what they find most interesting that season. It’s also great to see what things an artist looks at. EK: To see how an artist works day to day and what they choose to do is so fascinating. Then to be able to share that aspect through the artist's work with anyone who walks down the street and comes in to the pop-up or just is looking at our drawn windows is so great. BC: And thats’s the great thing about being here on Floral Street, is that we are trying to find new audiences and new people to be inspired by the artworks and have an insight literally by seeing someone illustrate live and talk to people about what we do. It is really nice to be able to show it to as many people as we can. Can you tell us about some of the illustrators featured at The Floral Street Pop-Up? 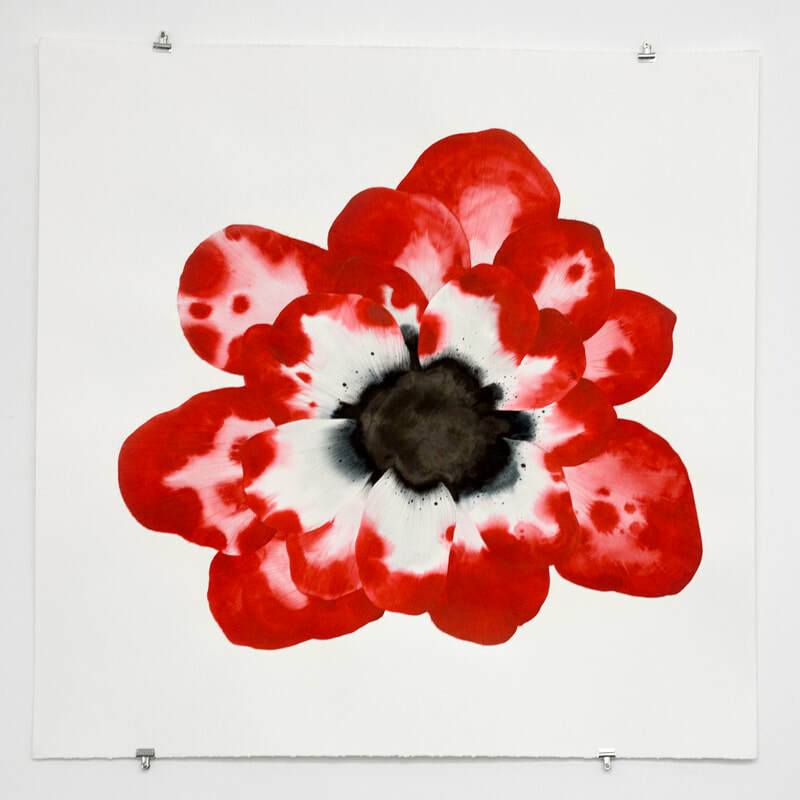 BC: Stephen Doherty, we initially commissioned him to illustrate flowers for our Fashion Flora Exhibition. He worked with the brilliant Flora Starkey, she’s an amazing floral designer who picked the best moments in fashion that flowers throughout the decades, going as far back as the 1880s, featured in. We allocated specific looks, that she chose, to different artists to interprete as an artwork. Stephen was given a Dries Van Noten Collection. We also knew he drew beautiful flowers and we really wanted those to be peppered amongst all the other commissioned pieces as well, so we did a first series of 9 or 12 of his flowers which were really successful. His flower artworks here now in Floral Street, are the only three pieces that were commissioned for our Floral Street Pop-Up, everything else has been archive work, but we wanted to do something large format and striking for the back wall in this space. So we went for Stephen's flowers. 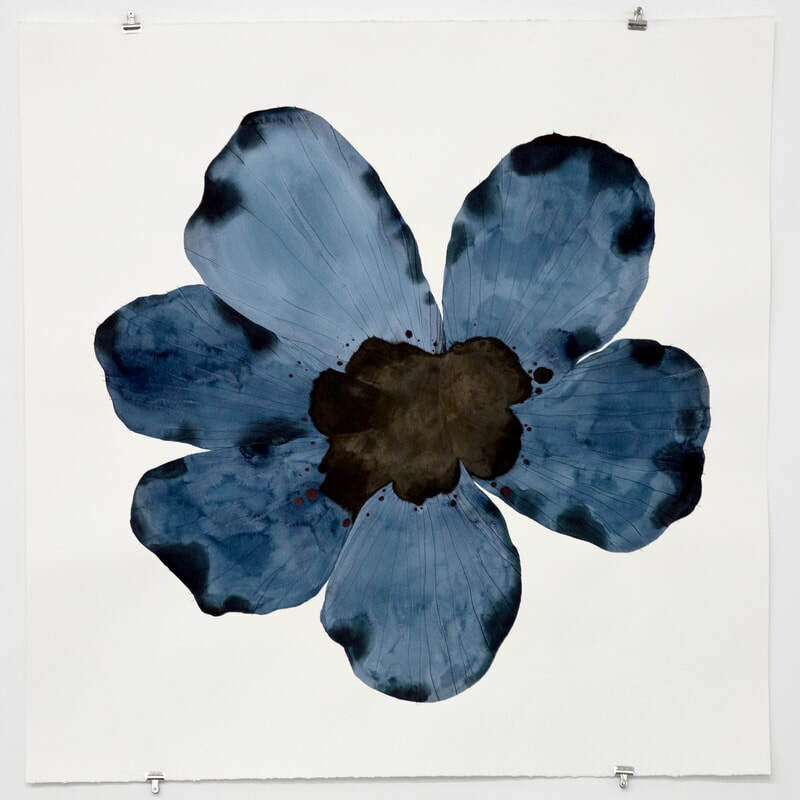 The paper is a really heavy weight watercolour paper that kind of feels like a petal in itself and he pours the ink and watercolour layer upon layer to get the petal depth, and then he scratches into them, draws the ink out to kind of create the details of the petals which are lovely. BC: It’s by a brilliant artist called Rob Phillips, he’s worked with us again and again, he’s one of our favourite artists who we commission every single time we do an exhibition and every opportunity we can. He illustrated live on the windows for us, again so that people can see him at work, and it’s really nice having this kind of transparency of understanding his work, but also of it being literally transparent on the windows and you can see it on both sides, you can see it on the inside, which is different to as it looks on the outside. EK: It was the coolest thing to see him do that, we were inside seeing him paint something and then we stepped outside we saw another perspective, it’s so fascinating to watch, and he’s going to be painting the windows again. BC: Yes exactly. He layers the illustrations again and again and as Emily said he does some on the inside and some on the out, and then scratches into them to reveal the kind of transparency through it. He ‘s a brilliant artist that we work with a lot. Jennifer Corker, likewise is one of the artist we draw upon a lot, she has such a unique approach to illustration, and she’s really been one for kind of pushing the conventions of what you would deem as the most predictable fashion illustration. She really spun that on its head and does all of her illustrations on a sewing machine. Sometimes she will sketch things out in charcoal but she will literally free hand on a sewing machine just turn the artwork again and again. I love the fact that she has these points in the artwork where she leaves the stitch so it kind of links the two spaces together. You can follow one stitch to where she thought to go to next, and you can kind of understand her thought process. It’s great and different to see how she looks at a piece of clothing, you get to see exactly where her eye goes by studying the artwork. ​Frederic Forest just did Paris Spring Summer 18 and Frederic was an amazing person because he is someone again changing conventional illustration, he’s not someone who has ever deemed himself to be a fashion illustrator before, so I think he was kind of excited by the subject and quite excited for a kind of new approach and a new subject to illustrate. What’s so great about him, is that he manages to capture an entire garment or look in just one concise continuous line which for him, is about showing the most important bits and not everything. It’s kind of nice to see what he deems to be the most important aspect, and I think a lot of the time it’s the silhouette and the construction of a garment rather than so much of colour and texture and things like that. It is quite apparent to him that form and structure are really important, which is really nice, it’s another perspective, another approach to look at fashion. BC: Our archive is really diverse and we show that illustration can be anything. It can be abstract like Emma Larsson or refined and detailed like Laura Laine. They all have a different approaches and it’s importamt to have that. Emily Knight is an Illustration Agent and Head of Publicity at SHOWstudio with previous experience in PR at Purple Communication INC.
​Bex Cassie is Artist Liaison and Gallery Manager at SHOWstudio. She studied Fashion Illustration at the London College of Fashion. She is also a working artist with work having been sold by urban art specialists Epoch Art Gallery and now available to buy on the SHOWstudio store. She has also been featured on Twenty6 Magazine, has collaborated with Gray M.C.A. on exhibition, 'Drawing On Style' and has hosted a panel discussing fashion illustration as a medium.